I’ve blogged about the Kings Wark pub in Leith before and suggested that it was a great place for lunch in Leith. 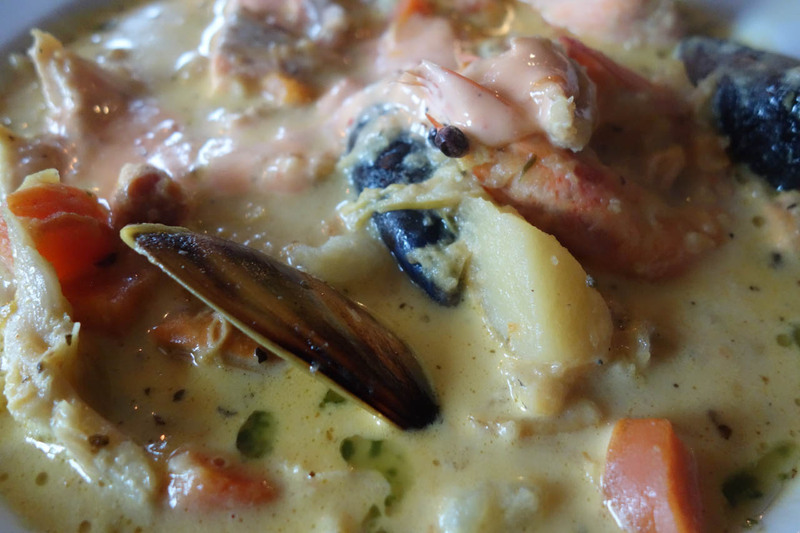 We went back there for lunch this week and I had a superb seafood chowder as my main course. It came with chips which were a bit unnecessary really but, of course, I ate them (everybody likes chips). Excellent and friendly service. My recommendation still stands.